Penn Station | Anywhere, Ohio | dreaming of the next bite. I have to break my “no chain” rule to talk about Canton Ohio’s greatest Philly cheesesteak sandwich. 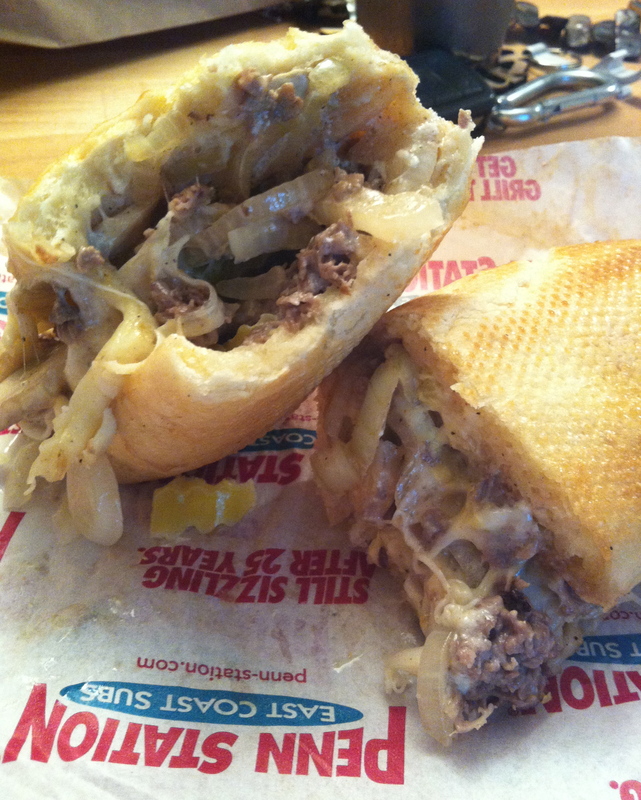 After experiencing the real deal last year at Geno’s in Philadelphia, I was a bit disheartened to learn that “real” cheesesteaks typically contain grilled onions and “whiz” – cheese whiz, that is, instead of provolone. They also frown upon mayonaise (are they insane?) but offer typical condiments you might find on a hot dog, like ketchup, mustard, and peppers. Don’t get me wrong, it was delicious – a real treat to finally partake in an authentic version of this awesome sandwich. However, I would argue that we have (dare I say) a tastier version right here at Penn Station. Penn Station seems to nail every single detail of the cheesesteak, from the meat, grilled mushrooms, onions, and banana peppers, to the gooey melted provolone on a toasty homemade roll. And they don’t pass judgement if you want mayonaise (and frankly, who doesn’t?) This sandwich is a piece of heaven, no joke. It’s something about the way the ingredients meld together, then infuse their flavors directly into the bun. It’s insanity. A little about Penn Station, although it is a franchise with 220 stores, mostly in the midwest but also stretching over to the East Coast, they still qualify as being somewhat local since they were founded in Cincinnati. So all you west coasters, if you haven’t tried a real Philly cheesesteak and you can’t get to Philly for the mayonaise-less and cheese-whiz smothered variety, check out Penn Station. Fresh cut fries and fresh squeezed lemonade aren’t too shabby either! Bring on the calories and enjoy. 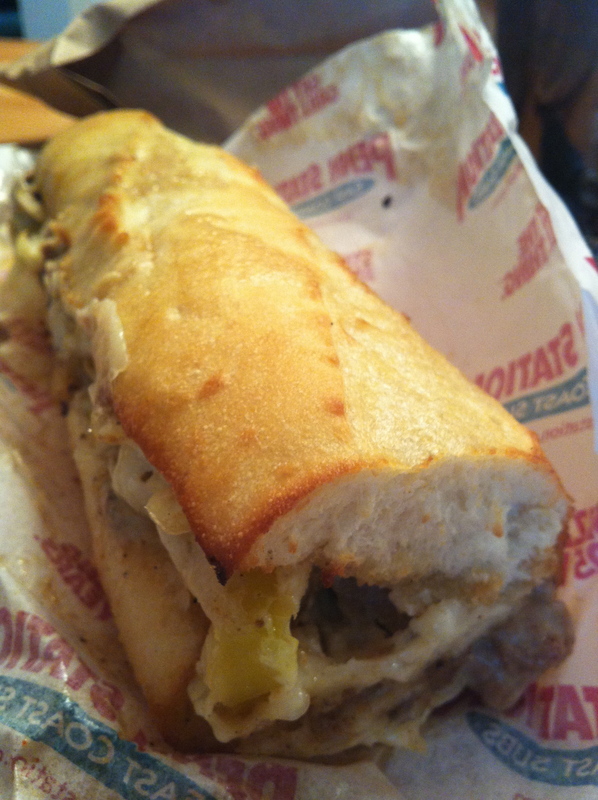 This entry was posted in Canton, OH and tagged cheesesteak by Yvette (@foodiedreamer). Bookmark the permalink.